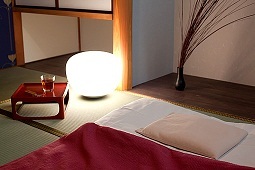 Some of our guests would like to stay in Japanese style room. so we have a nice and cosy thick futon, designed Japanese room with budget price. We also have some ryokan books in the library. and our modern Japanese room of HOSTEL 64 Osaka at the same time!